Warm ladies' vest with a stand-up collar and hood trimmed with faux fur. It is fastened with a two-way zipper and has diagonal striped quilting. 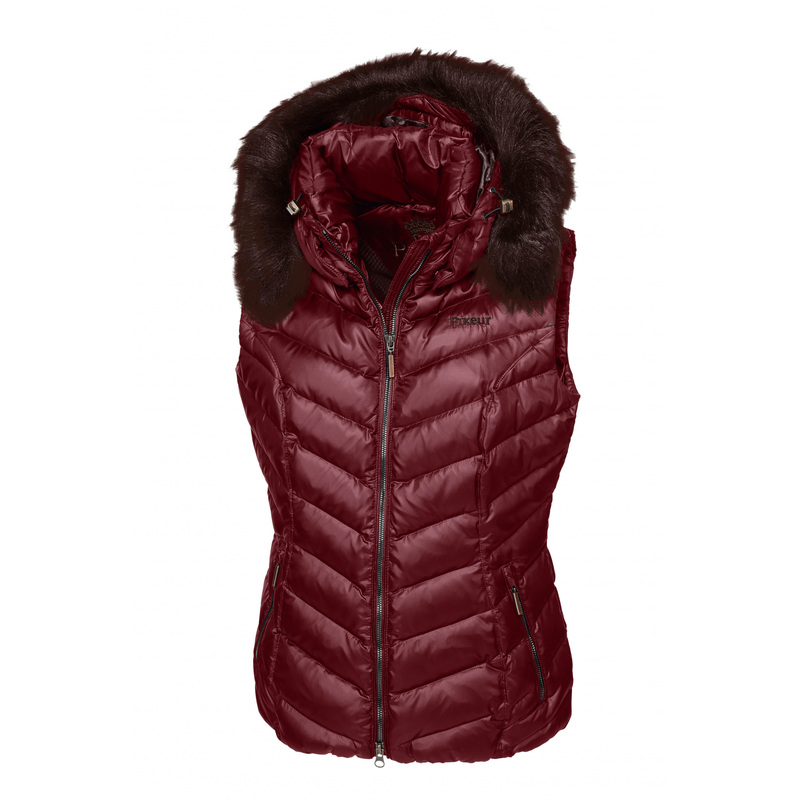 This vest is made of the highest-quality breathable and comfortable materials. There are two convenient zippered pockets on the front. The vest is decorated with a small Pikeur inscription on the chest.